Quebec public health authorities report that Lyme disease cases nearly doubled in 2017. Last year there were 329 cases, up from 177 in 2016. As schools let out and vacations begin, the spectre of Lyme disease is haunting Quebec's summer. Provincial public health authorities report that Lyme disease cases nearly doubled in 2017. Last year there were 329 cases reported, up from 177 in 2016. 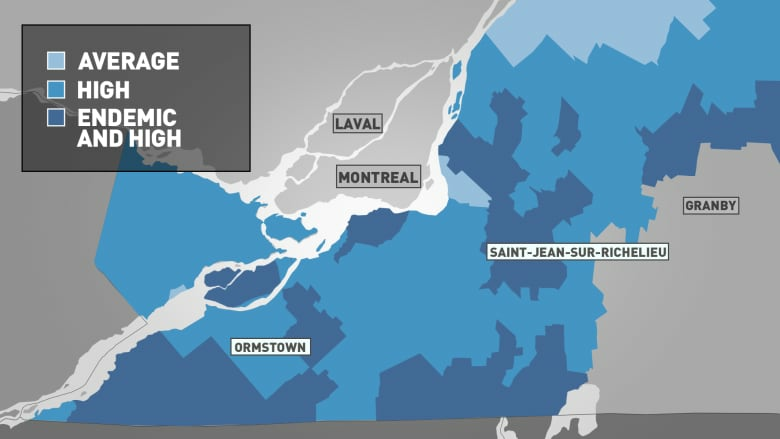 The risk of catching the disease is highest across the Montérégie and in the western part of the Eastern Townships. 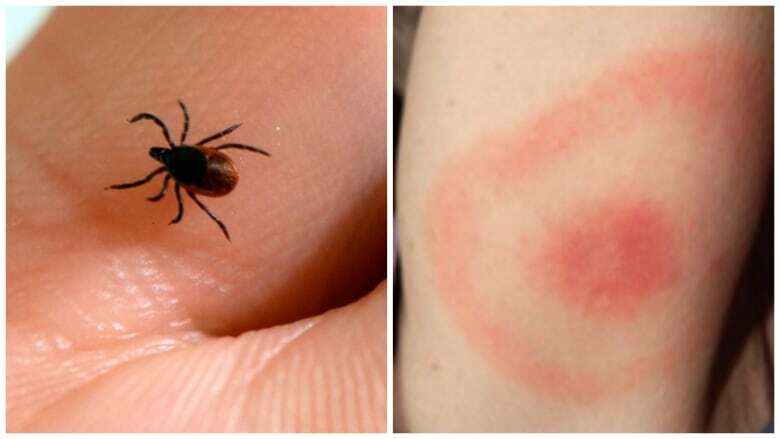 "Lyme disease is a treatable disease, especially at its early stage," said Dr. Geneviève Garon, who works for the regional health authority in the Eastern Townships. Lyme disease is caused by bacteria entering the body through a tick bite. 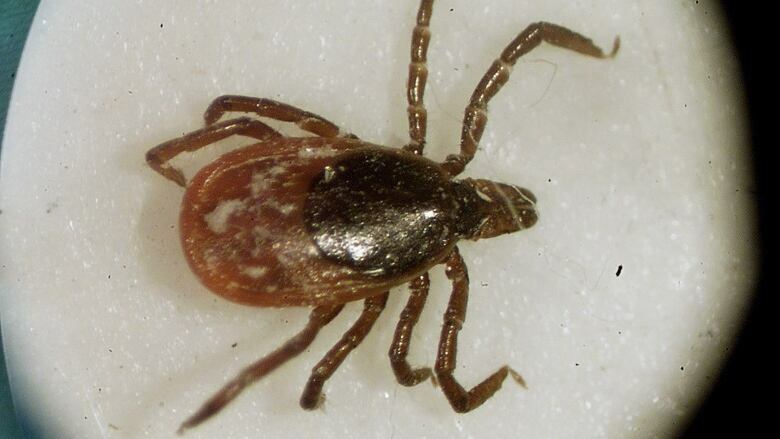 The ticks pick up the bacteria after feeding on small animals like mice. The health consequences of untreated Lyme disease are serious and include heart, joint and neurological problems. They can manifest years after a bite. However, if the disease is caught early, it can be effectively treated with antibiotics. Where can you get bitten by a tick? Tick bites can happen in a wide range of settings in the great outdoors, including, forests, tall grass, gardens near woodlands and shrub. Hikers, campers, gardeners, picnickers and anyone else exploring the outdoors where Lyme disease has been reported need to protect themselves. When you head outdoors, wear long pants and shirts that cover you skin. Also tuck your pants into your socks. If you're hiking, stick to the trails. Apply mosquito repellent that contains DEET (20 to 30 per cent) or Icaridin (20 per cent). Other kinds of bug repellents won't be as effective. At the end of the day, examine yourself for ticks — their bites aren't painful, so you might not feel anything strange when you're outdoors. The risk of developing the disease increases if they aren't removed in 24 hours. Change your clothes, take a bath and examine your body thoroughly. And don't forget to check your children and pets as well. I found a tick. Now what? If you find a tick, no need to panic. Even if the tick is carrying the bacteria that causes Lyme disease, the risk of transmission is very low before 24 hours. Remove the tick by grabbing it as close to the skin as you can with tweezers and pulling it without twisting. Don't squeeze its abdomen, since that increases the risk of bacteria transmission. Do wash your hands and the area around the bite, then disinfect it. Call Info-Santé at 811. If you're in a high-risk area, they might recommend taking preventive medicine. Pharmacists in the Eastern Townships are able to provide antibiotics, as well as doctors. Put the tick in something like a pill bottle in case a doctor wants to examine it later. Reddening of the skin around the bite or elsewhere.